Everyone wants to have a perfect love story, but do perfect love stories really exist? Love doesn’t come with a guarantee card and a warranty for several years. Love just happens! It comes with its own imperfections which seem rather perfect when the cupid strikes. Moreover, isn’t love all about accepting someone with their imperfections? Something worth pondering! Bollywood has transformed many of us into daydreamers and die-hard romantics, to an extent where we idolize certain couples and are intrigued by relationships of the la la land! #LostLoveStories will bring you one love story that got lost in the seeds of time. 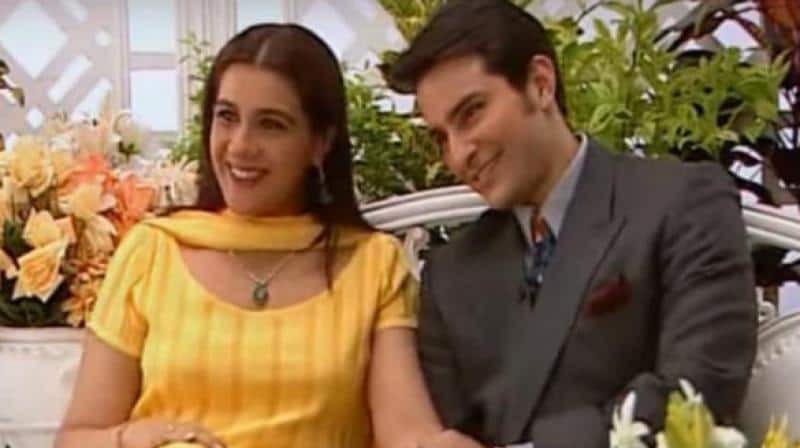 This week, let’s take a stroll around the rather Mills & Boon romance of Saif Ali Khan and his first wife Amrita Singh. What would you do if you fall in love with a woman who doesn’t go out for dinner? What if she’s more successful and independent than you can imagine? Will you call over someone for dinner at home instead of going out on a date? And moreover, tell the guy upfront that there can be ‘Nothing’ between you and him? Will men be able to take that blow while seeking a potential relationship? Can two people live under the same roof and not be physically intimate if they’re in a relationship? Do you have the maturity to date someone with a weird age gap? Have you taken impulsive decisions in a relationship in life and regretted it later? 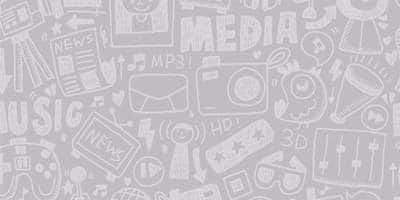 What if the answer to all this is yes and it’s the story of a popular celeb? Yes it is! What you just read above is the lost love story of Saif Ali Khan and Amrita Singh. “I don’t go out for dinners” she said, when Saif asked out Dingy (Amrita Singh) over a phone call. People would think twice to walk up to her; however, Saif didn’t think once while walking up to Amrita. During his first photo-shoot, he put his arm around her and here he was all confident to take her out! “I was never the bikini wearing type,” said a very careful and nervous Amrita during Rendezvous with Simi Garewal show back in the 90s. She was facing the camera after six years! She laughed off saying she was more of a “behenji” to which Saif jumped in to overshadow that little opinion she had about herself. He insisted that she was “self-sufficient” both in her career and personal life. Meanwhile, it wasn’t love at first sight for them! But wait, what if the girl asks you to come over at her place in-the-first-go? 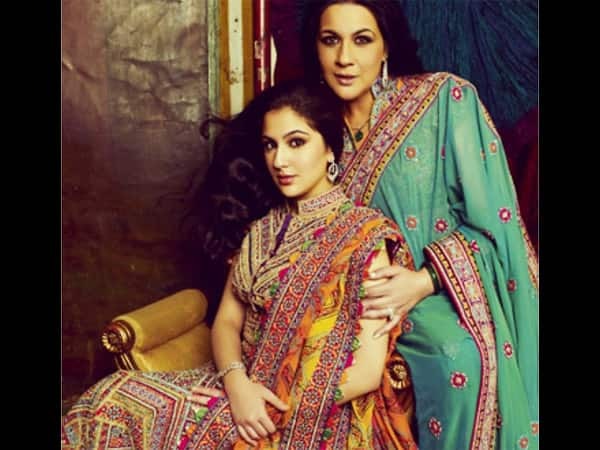 Amrita Singh did exactly what you didn’t imagine! She invited Saif for dinner at her place. She was busy removing her make up because she was just back from work. So here was a popular actress who had no prejudices of not wearing make-up and looking like a trophy when a man comes home. She was just being herself and Saif thought she wasn’t quite pleased with him, therefore she was taking off her makeup. So, some minutes into a potential love interest’s home, a woman had bold and beautifully taken over the onus to entertain a man over dinner, she gave no f**ks to not wearing make-up and she even made it clear that NOTHING was going to happen between them. Amrita was facing the camera after six years of having left the industry for good at Simi’s show. The duo was holding hands all the time until Saif realized it had been a while, and then he thought of letting it go. A slight sense of nervousness flashed in Amrita’s face and Saif held her hand back again. Today’s generation would clearly go aww if they see that footage. After six years of being together, they both looked happily married and equally shy like newlyweds are. But six years hence, things had changed, and that was visible in Amrita’s answers. The Nawab however, seemed his jovial self and charming like he still is. Live in relationship in the 90s! Remember she’d called him home for dinner? So hold your breath, because what happened next will make you smile. She kissed him at the end of the dinner and then, Saif never left her house. Yes, you read that right, never! This seemed like the fastest hookup ever! A dinner date, that too in the house, a kiss followed by a live in relationship back in the 90s! ‘Revolutionary’ is the word for Saif and Amrita. He stayed back but they lived in two different rooms and never had a physical relationship. Ok, that’s just two days! Take 2, Amrita’s mother was in the house and she behaved exactly like you’d behave if your boyfriend was in the house for no reason. She told Saif to lie that he was only there for lunch. But mother’s you see, the slightest spring in your feet and spark in your eyes speaks volumes about the hormones running in your blood to your mother. That happened to Amrita. Her mother suspected that there was someone living with her in the house because the other side of her bed was absolutely tidy, which it never was until her daughter was living alone. 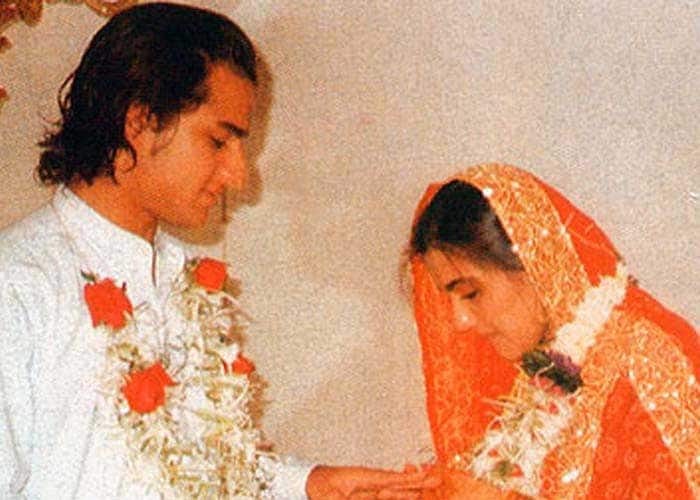 Amrita was looking to marry and Saif was just making his debut. They both dated for three months and thought it was just another fling. “It wouldn’t work out in the long run” said a skeptical Saif but they both decided to give it a chance. So the wedlock wasn’t far! Two days before they got married, Sharmila knew about their relationship and warned Saif not to marry. Next we know, they had a secret wedding. Amrita had earlier done a film with Sharmila and she was stressed. Ironically she played her mother in law in the movie and now she was her real life MIL. She finally met her and Saif was sent off for a walk by his mother. Things didn’t go down well with her and even Amrita agreed back then, that if her daughter Sara did something like that, she would beat her up! Amrita was made to meet Tiger Patuadi, and Saif left her alone with the father in law again. “When I needed him he just dumped me and left me,” she joked. Did someone say link ups? If you’re insecure about something in your life, it does happen. Saif had been linked up with his costars like it happens in the glamour world, and insecurities were bound to happen. It was very normal. “When a guy says he looks for his mother, it’s the most secure woman he knows. The woman you respect the most, the person who’ll take a bit rubbish from you and look after you,” he said while he held Amrita’s hand. Amrita was honest to accept that she had been insecure of the rumours around him and his co-stars. ‘It’s very normal for any woman to feel insecure. If you’re insecure about something in your life, it does happen. Why autosuggest something wanted to bang Saif’s head with a frying pan,’ she clarified. Amrita was perhaps the only heroine who worked for 12 years with above 30 inch waist and she was completely chilled out. There was never any sense of competition with Saif. “I’ve done it and achieved it. Life has compensated for me in lot of ways. There still are perks in life,” said Mrs. Saif Ali Khan Pataudi who despite her nervousness on cam, believed in every word she was saying on national television. She said a few very wise things about being insecure in a relationship. Her take was that if you’re there all the time (with your significant other) and think nothing could happen in your presence between two people, you’re wrong! “Being a guard dog could stop things from happening,” she rightly said. The duo explained how they were caught in the web of social obligations post their wedding and how once Saif rowed a boat till the middle of a lake and gave up on rowing it back. 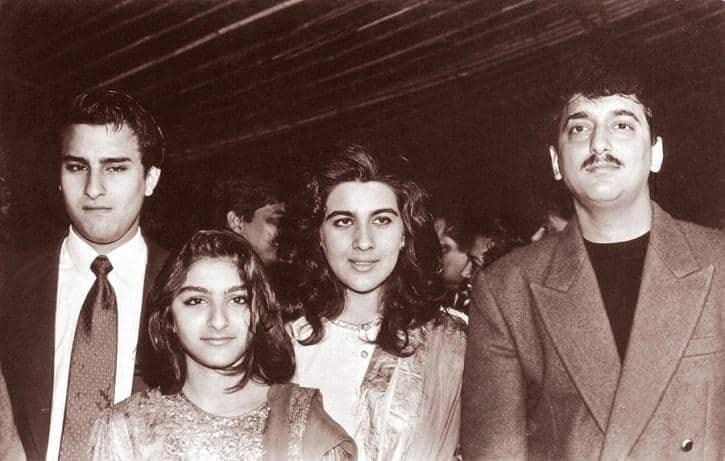 Next we know, Amrita rowed the boat back to the shore where the Pataudis and guests were gazing at them with amazement. It might be reading too much in between the lines, but all the instances right from Amrita’s meeting with her in laws and something as simple as rowing the boat back was a sign that she was always left alone when she needed him the most. 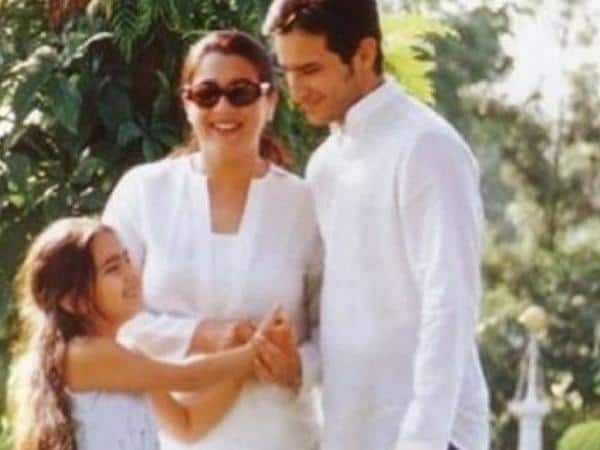 On the other hand, a very benevolent Saif was always seen protecting her in the public eye and giving a fair chance to a very egalitarian relationship. Where are Saif and Amrita today? Both knew that the relationship could be short lived, but no one thinks about losing a love right? Five years after the only personal interview that the duo gave to Simi, they got divorced for good. They became parents to a beautiful daughter Sara, who’s got the best of her parents and looks stunning. She’s studying abroad in the US and their son lives with Amrita. Amrita returned to TV with Ekta Kapoor’s Kavyanjali and played the vamp. She had a promising role in Abhishek Varman’s 2 States based on Chetan Bhagat’s novel as Arjun’s mother. 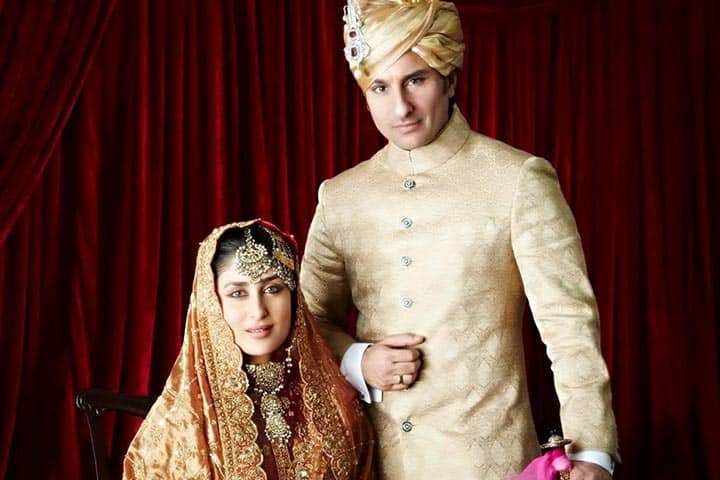 Saif is now a married man after having briefly dated Roza who was from Italy. Saif’s current wife Kareena Kapoor hails from the famous Khandaan of Raj Kapoor and the two are expecting their first child soon. Both the children are friends with Kareena and the credit goes to their mother for sharing a great rapport with their father’s second wife. The children attended their father’s wedding too. A journalist asked Amrita to comment on Kareena’s pregnancy and she blasted the person off. Well done we’d say! 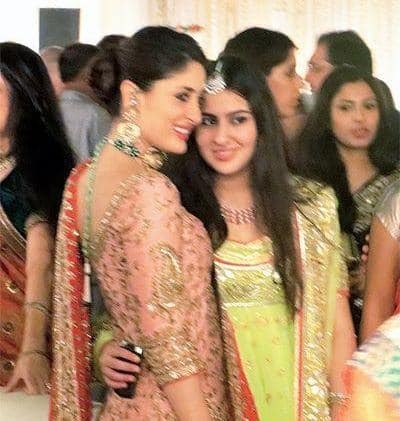 Kareena has always gone on record to praise Amrita’s upbringing for her children. There’s something to learn from these three. A love story was lost and a few more love stories were made. What’s noticeable about this couple is the sobriety in their separation or one could give credit to the fact that the internet wasn’t a big medium when they got divorced. So there was no scope for heated headlines and viral articles on the web. A love story was lost, and lost beautifully.